The man whose pen breathed life into the magical world of Narnia didn't just stop there. Step into this wealth of writings from the eminent C.S.Lewis. 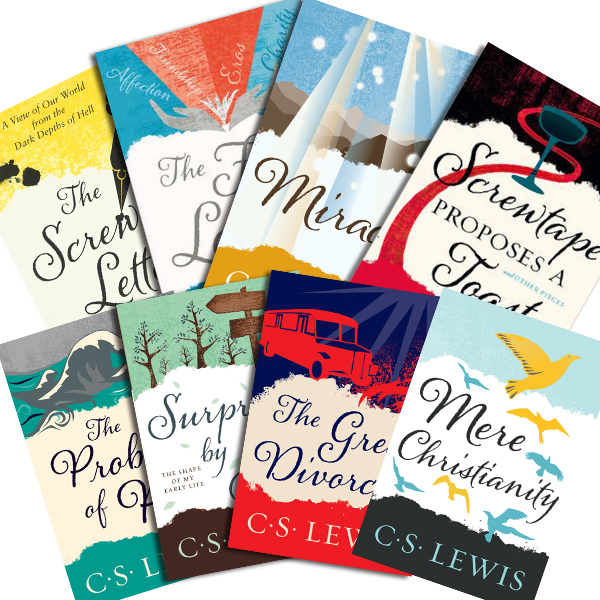 2017 is the 65th Anniversary of C S Lewis' bestselling Christian classic Mere Christianity - to celebrate we have this great value pack featuring 8 of Lewis' classic works in beautiful new jackets. He created the world of Narnia, and filled it with sword fighting mice, eternal winters, princes and high-seas, and four lost children. He gave voice to Screwtape, and painted the hidden world of foibles and follies in us all. His wisdom has never dulled, nor has his pen lost the sharpness that carved ideas listing decades. None has matched the brilliant mind of C.S.Lewis, and in this pack you'll find his accounts of faith and thought presented with lucid prose that strikes the reader to the very core. He was a man who understood the heart, and the aches we create for own self. His faith was a naked one, and his doubts were worn with as much integrity as his certainties. In these books, C.S.Lewis paints Christianity in a light like no other. C.S. Lewis 65th Anniversary Value Pack by C.S.Lewis was published by Eden bundles in July 2017 and is our 16268th best seller. The ISBN for C.S. Lewis 65th Anniversary Value Pack is EDENBUNDLE-1250. Be the first to review C.S. Lewis 65th Anniversary Value Pack! Got a question? No problem! Just click here to ask us about C.S. Lewis 65th Anniversary Value Pack.